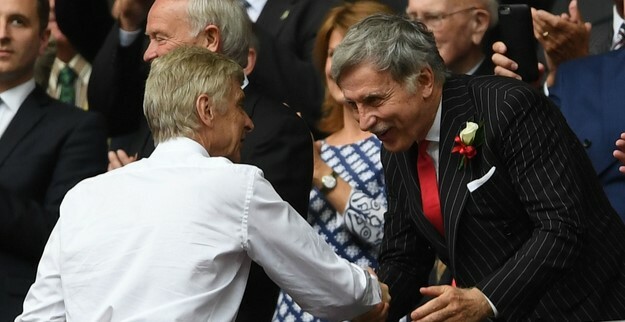 9jasports | Wright slams Arsenal owner Kroenke: He doesn’t care! Wright slams Arsenal owner Kroenke: He doesn’t care! Arsenal legend Ian Wright has accused club owner Stan Kroenke of not caring about the club as Arsene Wenger once again finds himself under pressure. The Gunners slumped to a 3-0 Carabao Cup final defeat at the hands of Manchester City on Sunday to see more uncomfortable questions asked of the direction in which they are heading. Reaching another Wembley showpiece could be considered a positive, but a disjointed display which has been accused of lacking passion has left a disgruntled fan base calling for change. 9jaSports © 2016 . All Rights Reserved.